I know, dear readers that my articles are usually of the “How-to” variety. This, one is going to be a bit different. While there are certainly lessons to be learned here, they won’t be spelled out in easy step-by-step directions. I totally understand if this is not your cup of tea. It’s cool. But, this is a story that I’ve been waiting almost a decade to tell. It’s an important story to me and I hope you forgive me a little bit of self-indulgence. I promise more “How-to” articles will be published soon. 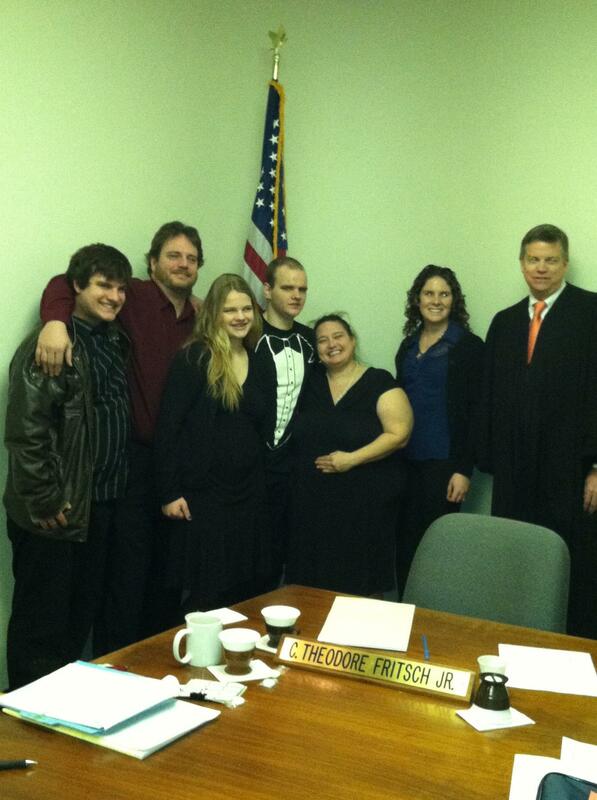 Judge Fritch entered the motion and Jeremy, who had been living as our son for almost a decade since he was 12 years old became our legally adopted adult son. Just about 11 years ago, my wife and I were looking for a little extra income to make ends meet. As it turns out, working for a non-profit organization is not the path towards being independently wealthy and socially secure (shocking, I know). In the course of looking for new income opportunities we started providing respite care for special needs kids form Devereux’s teaching family program…we were essentially part-time foster parents. When my wife lost her job as a daycare teacher, the director of the teaching family program (Maria) mentioned to me that we would make great full-time special needs foster parents. I laughed. This was funny. I already spent 40-60 hours a week working with autistic and intellectually disabled teens…doing this at home meant doing my job 24/7 without a break. No way, no how, no thank you. This attitude lasted all of 2 hours until I got home. “What’s that?” replied my lovely wife. We didn’t take the plunge right away. We talked about things for a while The fact I would essentially be working without a break was a big deal and not something to be taken lightly. However, I love my wife dearly, and it was obvious she adored being Mom to all these different kids that came to our house. She had a knack. Furthermore, I’d been espousing for a number of years the therapeutic benefits of a loving family to the treatment of behavior disorders. This was my chance to put my money where my mouth was…to walk the walk. Our first child turned out not to be a good fit for us (but her story had a good outcome). It was with her I learned the true meaning of “attachment disorder.” However, the second child we considered turned out to be our first and most enduring success. His intake packet read like a horror story. He was prone to sudden violent outbursts. He was a biter. He broke his sister’s arm when she was only 5 years old. There was hardly a single positive thing in that intake packet. However, families often accentuate the negatives when they are desperate to get their child into placement. I used my pull as a Devereux clinician to ask his therapist about him. I found out that, as I suspected, the info in the packet was a more than a little exaggerated. My colleague said that Jeremy was a good kid who was very bright and would probably have a normal IQ but for the communication issues that came with his autism. He encouraged us to go ahead and at least have him do some visits to see if he would be a good fit. So, we had our first dinner visit with Jeremy. I picked him up from his group home. His staff told me that she was working on getting him to eat more vegetables and that we should make him eat those first before giving him preferred foods. I didn’t get any other words of wisdom. Jeremy and I drove back to my house. I tried making small talk with him, but as he was pretty much non-verbal at this point, it was pretty one sided. God I was nervous. The kid was so serious…never cracked a smile. He just stared at me…through me…with these deep blue eyes. Was I making a mistake? Did I have what it takes to work with a kid like this? Finally, we pulled into my driveway. I escorted Jeremy cross my lawn and into the front door where my family was waiting. As Jeremy entered, my wife greeted him with a big smile and a “Hi Jeremy!” In reply, he dashed right past her, grabbed a video off the shelf and proceeded to decipher our TV and vcr (in all of about 3 minutes…the kid was gifted!). The movie was Flubber. 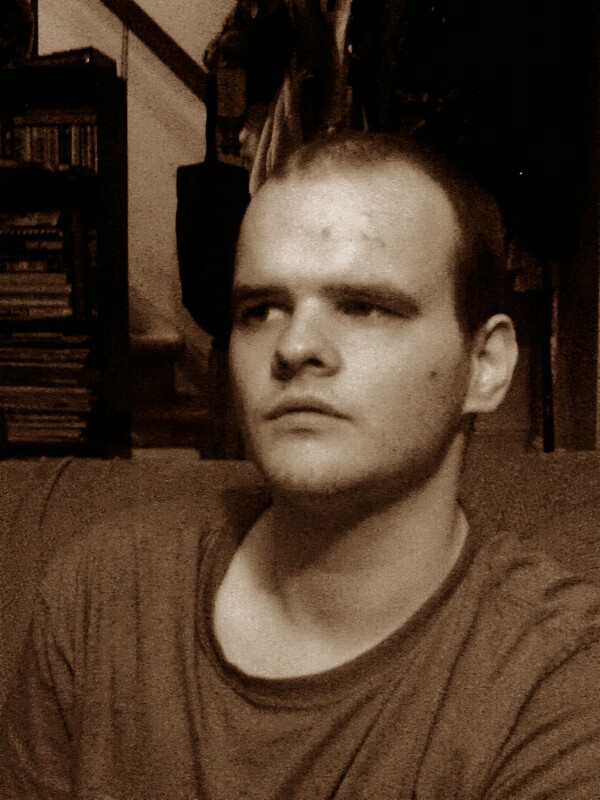 Jeremy sat himself in my big blue easy chair and happily watched Robin Williams blow cgi green goo out his pants. For dinner, we had salad (first of course…he ate it without a problem) and hotdogs (he verbally asked for two…guess the boy could talk) and French fries. For dessert, we had one of those no-bake jello cheesecakes. Jeremy ate like a man on a mission. He attacked his food with singular purpose. It seemed to me that if I could bottle that intense concentration, we’d have a cure for ADHD. In fact, this is how Jeremy lives his life…from objective to objective…a man on a mission. After dinner, we put in another video and enjoyed just being together, trying out the new family dynamic. At one point, Jeremy went to use the bathroom. No issues there, he’s pretty self-sufficient. However, on the way back from the bathroom, he dashed into the kitchen. I followed but a few seconds later. There was Jeremy scarfing down half a cheesecake. I’m serious; he devoured that half a cheesecake in about 15 seconds flat. If I were a less ethical person, I could make a fortune betting on him at eating contests. In any event, it was clear he fit in perfectly with our family. 1. The “N” word — We learned pretty quickly that the combination of Jeremy and the word NO was problematic. Saying that word to Jeremy was a good way to get bitten. We very quickly learned that we needed to be very creative in how we denied Jeremy access to desired tangibles. No was replaced with such phrases as “not right now”, “later”, “try this instead”, and “Look! Elvis!” (that last one didn’t work so well, but it made my kids laugh). Now, over the years, we did a lot of hard work with Jeremy. We taught him that he could trust us. Because he could trust us, he learned that we would give him things he wanted…eventually. Now, we can use the “N” word. He still doesn’t like it, but he accepts it. He knows that we love him and that the things he needs will always be there when he needs them. The lesson here is that trust needs to be established and maintained in order to help your loved ones change. 2. Changing clothes is bad — On one of our early outings, we took Jeremy to buy clothes. He was so excited to pick out new outfits. Lorrie, not knowing his sizes, took him to the changing rooms at the store. Jeremy quickly put on his new clothes. We figured out what fit. The problem came when it was time to take OFF the new clothes and put the old clothes back on. Jeremy had a meltdown in the store. It was ugly. However, Lorrie was calm. She persevered. The clothes were purchased. We did not take Jeremy back clothes shopping for some time. We had similar problems when Jeremy would try to dress himself in an inappropriate outfit (such as long sleeve shirt and jeans in 90 degree summer weather). We got creative in setting out his clothes. We made sure that we stored weather inappropriate clothes so he couldn’t put them on. We even went so far as to throw out clothes that no longer fit…Jeremy would retrieve these from the garbage when we weren’t looking. At one point, I had to drive a favorite shirt three towns away and dispose of it in a dumpster because Jeremy kept putting it back in his dresser. Eventually, we taught Jeremy to be a little more flexible. We praised him for dressing so handsome. We rewarded him with praise and new cool clothes when he could tolerate changing clothes. It took years. The lesson? Be patient. Change comes slow to the autistic child, but it can happen. Don’t try to change too much too fast though. 3. I put Ketchup on my Ketchup – Jeremy LOVES ketchup. He puts it on just about everything. . At first we tried complicated reinforcement and teaching programs to manage the flow of ketchup in the house as the level of ketchup abuse seemed problematic to us. At one point, despite our best efforts, we were going through a large bottle of ketchup a week! It turns out, Jeremy was sneaking down to the kitchen in the middle of the night and drinking straight from the bottle. We gave up on our fancy plans and just let Jeremy have his ketchup. If he wanted it that bad, why stand in the way? The only thing we did was not buy new ketchup until it was time to do the shopping. Eventually, ketchup consumption returned to more normal levels in our house. The lesson? Choose your battles. Just because you think it’s weird doesn’t make it a problem. 4. Macy’s, elevator, bathroom — Recently, Jeremy was writing one of his many lists. When he writes a list, he’s usually asking for something. This list was unique. It said, Erik, Rhi Rhi (my daughter) Macy’s, elevator, I want bathroom please. He wrote that list daily for a couple of weeks, For whatever reason, he wanted me and my daughter to accompany him to the mall. One evening, I didn’t have a lot scheduled, so we piled in the car and went to Macy’s Jeremy was clearly excited. Once at the mall, we let Jeremy take the lead, curious to see what he wanted to get. He did his little speedwalk through the store, didn’t stop to buy or even look at anything. Once through the store he made a beeline for the elevators which we rode to the first floor. From there we walked around the outside of Macys until we came to the mall bathrooms. There Jeremy went in, peed, then washed his hands. Once done he smiled at me and declared himself finished. He was happy and content. I must confess I didn’t get it, but I was happy that he was happy. We went home and the lists stopped. The lesson? Don’t ignore the little things. Take time to enjoy the little pleasures in life. Don’t question them either. Happiness is where you find it. 5. Family is more about DNA – Here is a picture of me and Jeremy. This says everything about our relationship. We have a special bond. Mere words can’t adequately describe it. I would take a bullet for Jeremy. One of my colleagues, after recently becoming a new Dad, asked me about my children as we were waiting for a meeting to start. I described all my kids, biological and foster. He asked me if it was different with the foster kids. I replied that of course it was different; raising special needs kids is different almost by definition. He said, “no, the love. You love them less right?” I said, “No, of course not…I love all my kids equally.” I could tell by the look in his eyes that he didn’t believe me. He didn’t get it. I wish I had that picture on me then. The lesson? Family is about who you love. Not who conceived you. To be successful as a (foster) parent, you have to accept the children as your own, and treat them the same as you treat your own. In closing, I owe Jeremy a huge debt of gratitude. 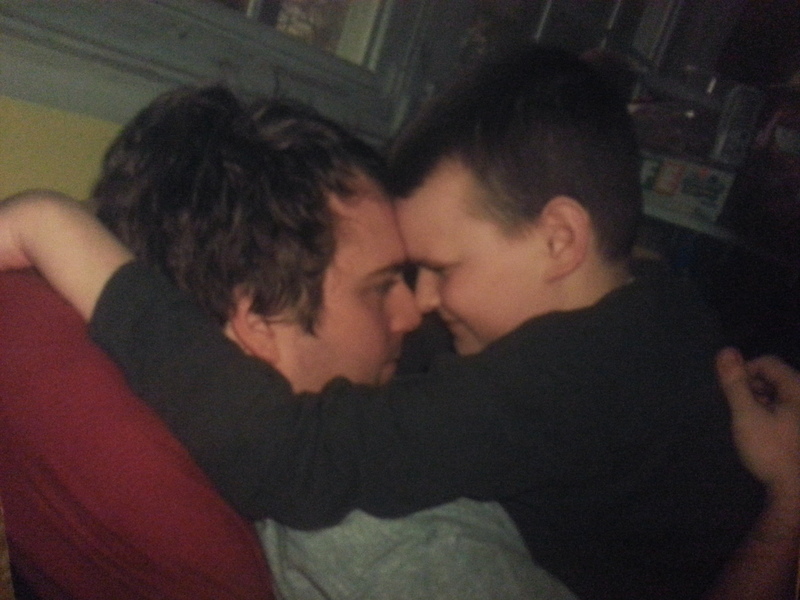 By sharing his life with me, by letting me be his Dad, he taught me to be a better parent and a better therapist. When I talk about bringing together clinical knowledge with practical experience, I’m talking about life with my son, Jeremy. Thank you son…you are the best! I want to hear about your stories of life with your special kids. Please share them in the comments below.